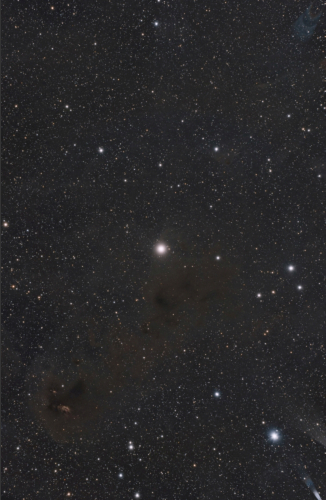 The emission nebula Sh2-239 is embedded in LDN 1551, a dark nebula region near the southern end of the Taurus molecular cloud complex some 450 light-years distant. Many signs of embedded young stellar objects driving dynamic outflows into the surrounding medium are visible. Estimates indicate that the star forming LDN 1551 region contains a total amount of material equivalent to about 50 times the mass of the Sun.